In Windows 10, you can type in easily switch and type in multiple languages that follow the Latin alphabet. Common Latin languages include English, German, Spanish, and French etc. You do not have to switch the languages manually in the language settings every time you decide to change over to another language. This feature is a part of Windows 10 Text Prediction. Windows 10 has enabled multilingual text prediction for both software (touch screen) keyboards and hardware keyboards. From your experience on mobile devices, you can guess that text prediction not only saves time while typing but also helps you select the right spellings. Multilingual text prediction takes this further if you work in multiple Latin Script languages. Here’s how you can switch on and switch off the multilingual text prediction in Settings. Open Settings (shortcut: Windows key + I). Click on the Devices icon. Under Devices, select the Typing section from the left column. Scroll down to Multilingual text prediction. Toggle the Show text predictions based on the recognized languages you’re typing in setting to the On position. Windows supports up to three Latin script languages for multi-lingual text predictions. It suggests predictions from the top three preferred languages in your computer’s System Settings. The toggle switch saves you the bother of manually selecting the languages every time you type. Also, it increases the scope of your communication if you are fluent in more than one language. And you can keep fighting those pesky typos thanks to auto-correct and the spelling and grammar check tools in Microsoft Office How to Spell and Grammar Check in Microsoft Word How to Spell and Grammar Check in Microsoft Word You can customize Microsoft Word's built-in spelling and grammar checking tools to meet your needs. You can even use AutoCorrect to speed up your typing. Read More . 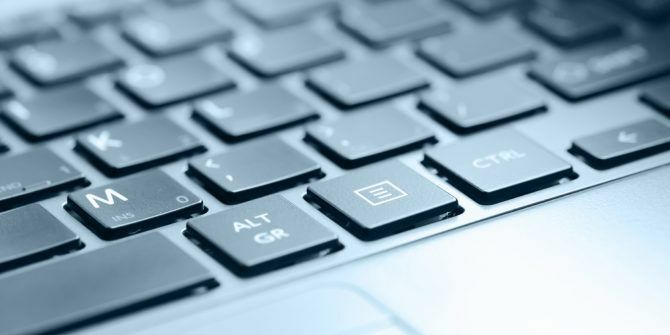 Explore more about: Touch Typing, Windows 10.